Spiritual Chakra Healing Union City, CA – Are Your Chakras in Need of Balancing? | True Insights Spiritual Energy Healings and Readings with Joe Gacoscos Intuitive Channel, Psychic Healer, Starseed Awakening & Psychic Development Teacher | Serving Silicon Valley, the East Bay, San Francisco Bay Area, Union City, Fremont, Hayward, Newark, CA and Beyond! Chakra Healing Union City, CA – Are Your Chakras in Need of Balancing? Where there are any of the above conditions, then it makes sense with how it can manifest on the emotional or physical level. When a psychic or clairvoyant does a reading, invariably, they’ll take a look at your aura and your chakras. 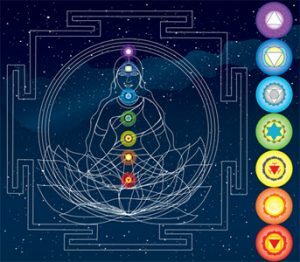 Your chakras are your energy centers of the body (There are TONS of YouTube videos out there so I won’t go into too much detail about each of the 7 major chakras here). What Happens When Your Chakras Are Out of Balance? How are the chakras working with each other? How is the flow of energy between each of the chakras? Is one chakra more dominant compared to the others? How flexible is the chakra to open or close? Are there any stuck energies in those chakras? How does the front of each chakra look compared to the back of each chakra? Are there any energetic cords leading into or out of these chakras? How Does a Psychic Help with a Chakra Healing? If you do have medical issues, you should of course see a doctor to confirm any diagnosis any receive any treatment as required. On the other hand, a psychic or spiritual energy healer (or even a reiki practitioner or others) can help on the energetic level. How Will I Know if a Chakra Healing or Chakra Balancing Will Work For Me? For example, have you ever thought of a time you broke up from 20 or even 30 years ago, and you can still cry about it? Where the wounds still feel all too real? From readings I’ve done, this unresolved heartache in the heart chakra manifests itself in emotional and physical ailments – pain, sorrow, and even fits of rage from time to time. When looked at Clairvoyantly, I see it as an energy – a stuck picture. Once identified at that level, we can move that energy out and energetic healing can truly begin. When looked at through a Spiritual core, can modern medicine do that? In this regard, Spiritual chakra healing definitely has its place. However, for those deep core pictures, energetically, we can peel those one layer at a time and bring those chakras back into balance. Then you can allow for your body’s natural healing to occur as well on the physical and emotional level. 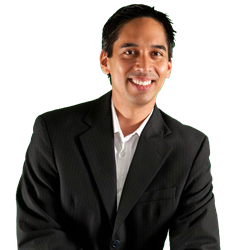 If you reside in San Diego, you can receive a Chakra Healing in my Union City, Ca office. If you are outside of San Diego, Distant Healings for your aura and chakras are just as effective. When your energy flows, your life flows! Schedule your True Insights Aura and Charka Energy Healing Session Today!